Treat your favorite reader to a special bookmark. 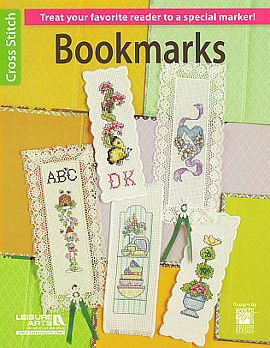 12 charming cross stitch designs to use on prefinished bookmarks or to finish yourself. This book includes clear charts, keys, general instructions, stitched photos and an elegant monogram alphabet to personalize your projects.